Summary: On April 19, 1775, the Westford Militia marched to face the British army at the Battle of Concord. 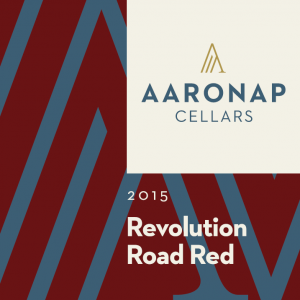 Along the road to revolution, those brave patriots passed the property that would eventually become the home of Aaronap Cellars more than 200 years later. We honor their memory with a bold red wine made from grapes grown along the shores of Narragansett Bay in Rhode Island. $2 from the sale of every bottle will be donated to the Westford Historical Society to help preserve Westford’s revolutionary history. Aromas of raspberry, red currants, plum, and black pepper grace the nose with hints of truffle at the end. Well-structured tannins with a final taste of cranberries and black pepper on the lingering finish. Aging Potential: Drink from 2017-2025. Aging Protocol: 12 months in 2 year old French oak barrel. Bottled aged for an additional 6 months. We are extraordinarily fortunate to have located the very special Bond-Stowers Vineyard in Rhode Island along the shores of Narragansett Bay. Specially selected Pomerol clones of merlot and cabernet franc are farmed as organically as possible and thrive in this unique maritime micro-climate mere yards from the ocean waters. Aromas of cherries, blackberries, vanilla, and raspberries dance through the nose with hints of truffle at the end. Well-structured tannins on the weighty palate with the final taste of cranberries and black pepper on the lingering finish. 2014 was a banner year for grape growing in New England. Lengthy periods of warm sunny and dry weather encouraged rapid grape ripening. The grapes were hand-harvested on October 31 with berry selection to weed out any signs of botrytis or under ripe berries. In the winery, each varietal was destemmed and fermented separately with GRE yeast. After pressing, the wine was blended together for malolactic fermentation and aged in a 1 year old French oak barrels for 9 months. The wine was bottled aged for an additional 6 months before release on Patriot’s Day. The eye delights with brilliant ruby red color. Aromas of black cherries, blueberries, & raspberry with hints of mint & truffle. Well-structured on the palate with the final taste of cranberries on the lingering finish. 2013 was a wet year throughout much of the summer, with a regular series of storms passing through New England. However, August brought dry weather with lots of sun that allowed the grapes to ripen. The grapes were hand-harvested in late October with berry selection to weed out any signs of botrytis or under ripe berries. In the winery, each varietal was destemmed and fermented separately with GRE yeast. After a 6-day extended maceration, the wines were pressed and aged in a mixture of small volume 3-4 year old French & American oak barrels for ~12 months before being blended. The wine was bottled aged for an additional 4 months before release.